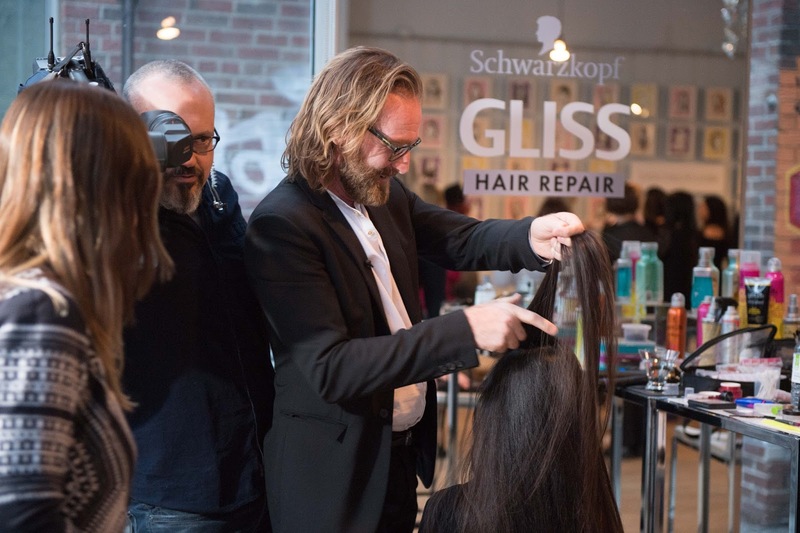 A few weeks ago, I was invited to the Canadian launch of Schwarzkopf's GLISS Hair Repair line! 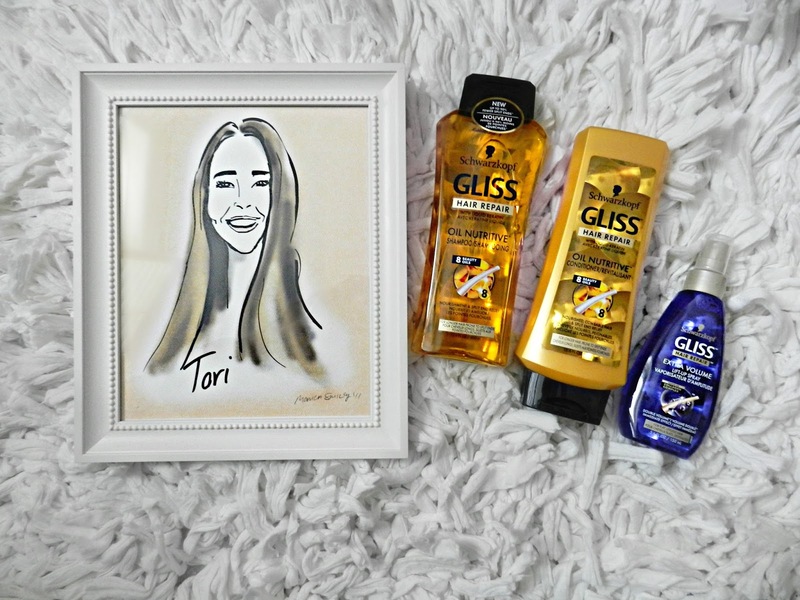 These products were highly anticipated because all of the GLISS formulas contain a unique hair-identical keratin that helps repair hair from the inside out! Essentially, they're hair care magic. 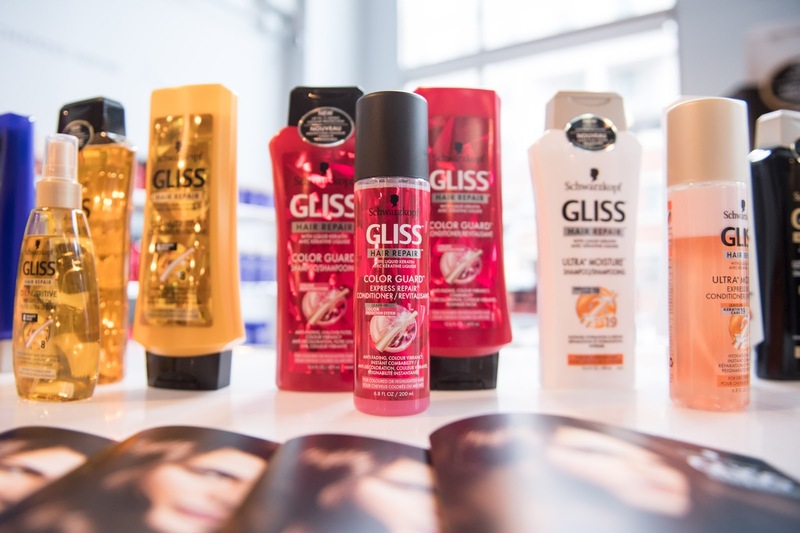 Keep reading for pictures of the launch and my thoughts on whether the GLISS products live up to the hype. 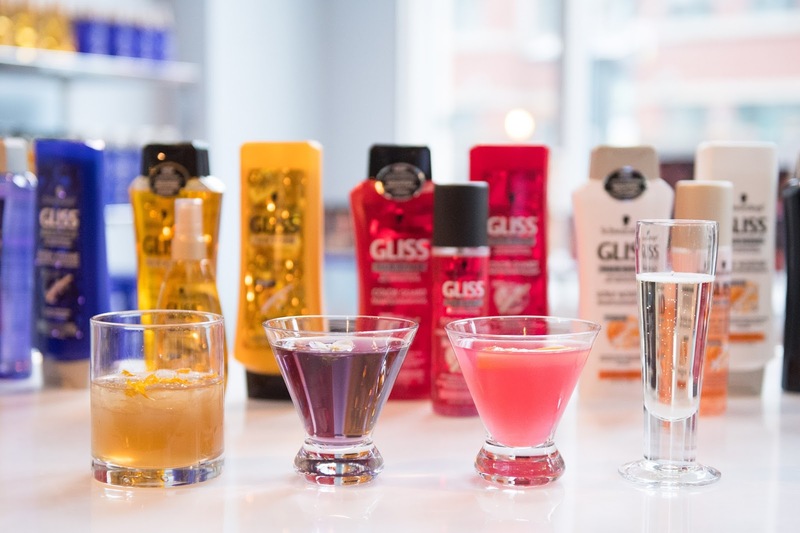 While enjoying some cocktails and yummy treats, we were invited to get our hair analyzed by lead scientist Jennifer Harris in order to determine what GLISS line would work best for our hair needs. 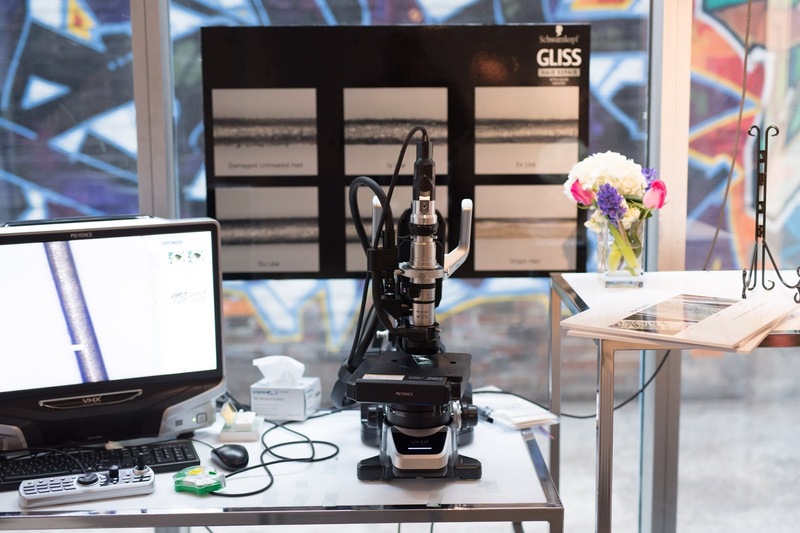 It was insanely cool (but also slightly awful) to actually see how damaged and different everyone's hair was under a microscope. It was also the first time I had ever been taught the in-depth science behind a hair product line. 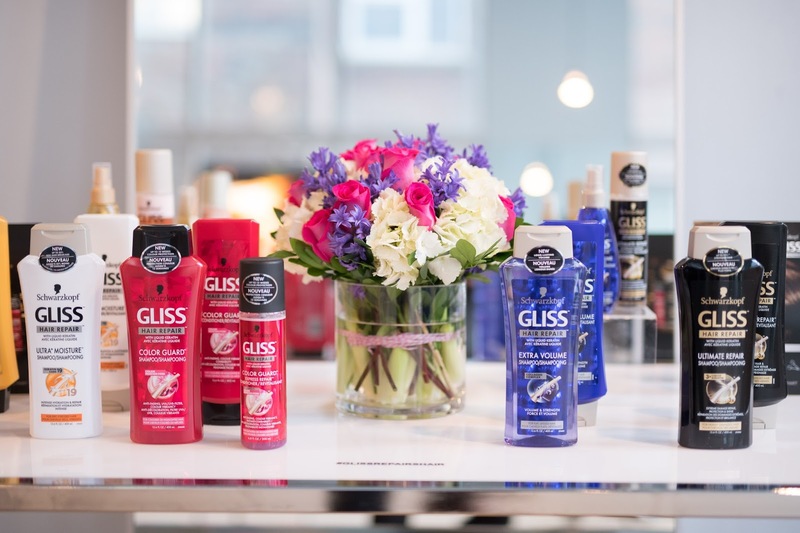 GLISS' unique hair-identical keratin formula has been shown to provide visible results in lab tests for colour retention, reduced breakage, added volume/strength/softness/shine, and comb-ability/manageability. For those of you who, like me, have never really understood the fuss around keratin, it is INCREDIBLY important. Keratin is a protein that gives hair its structure, strength and elasticity. It comprises 80% of hair. EIGHTY. When hair gets damaged, it loses keratin, making your overall hair structure weaker. 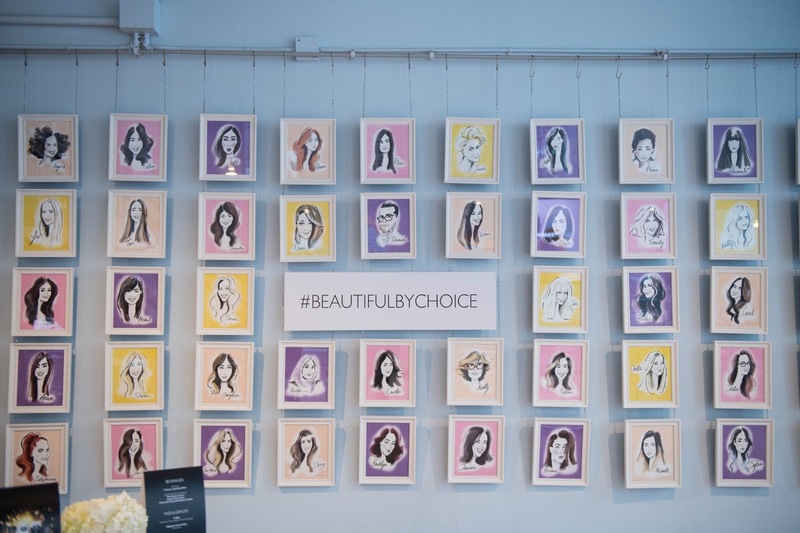 We also got the opportunity to have our hair styled with the latest spring trends, and consult with celebrity hairstylist Peter Butler (his clients include Clair Danes, Kate Upton, Emma Stone, Cindy Crawford and more)! FYI - subtle ombre and any type of hairstyle that incorporates braids are still what's trending this spring. I mixed and matched the Oil Nutritive shampoo and conditioner with the Extra Volume lift-up spray. The Oil Nutritive line is meant to reduce split ends, stop the breakage of long hair, and generally restore hair. The Extra Volume line is, unsurprisingly, meant to provide long-lasting volume while repairing hair damage with an infused collagen complex. After bleaching all of my very dark brown hair blonde two years ago (we're talking root to tip), it's been relatively damaged ever since. I also refuse to cut large chunks of my hair off at once because I like it long, so I've been patiently waiting for the damaged parts to grow out sol I can cut them off without drastically changing the length of my hair. In the meantime, I've used a ton of different masks, conditioners, shampoos, and oils to try to make my hair as healthy as possible with little success. I am loving the Oil Nutritive shampoo and conditioner. I noticed a difference in my hair after a week, without the use of any other products. While I can't attest to a reduced number of split ends yet, my hair is noticeably shinier and softer. My hair is also stronger - it's breaking way less frequently when I brush it, pull it back, or style it. 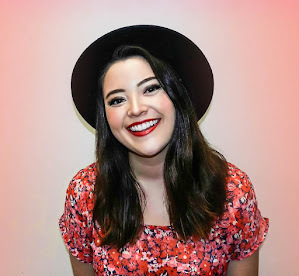 A huge positive for me was the fact that neither of these products made my hair get greasy more easily, which is the problem I typically encounter when I use nourishing products like this. The Extra Volume spray is really effective. I can't really speak to this line's effect on the health of my hair because I've only used the spray, but I'm still a huge fan. It adds volume to my hair and makes it easier to style (when I'm not feeling lazy). It also smells AMAZING - way less chemically than any other hairspray/heat protectant spray/detangler/etc. that I've tried. I'm actually thinking about trying out the Extra Volume shampoo and conditioner when I make my next trip to the drugstore. Overall, I would highly recommend this range of products. It's easy to mix and match, and they are the only products I've had success with as I try to revitalize my hair. 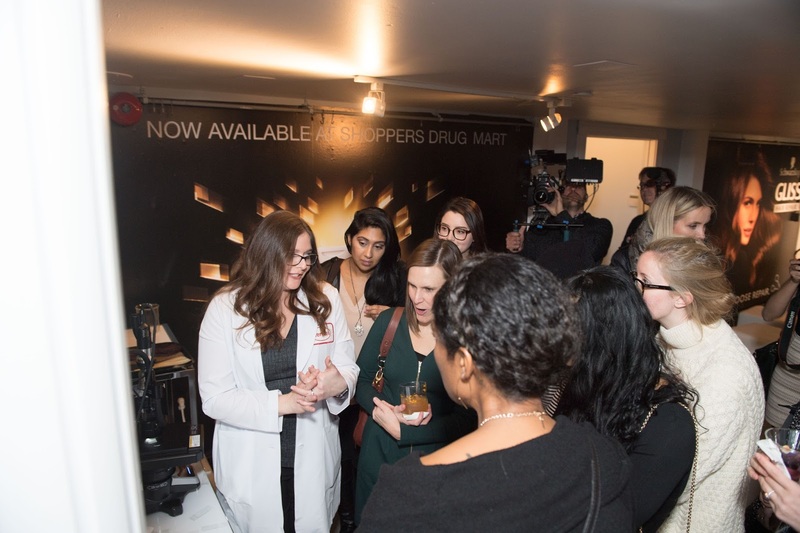 If you're interested in trying out any of these products yourself, all of them are now available at Shoppers Drug Mart and Pharmaprix stores across Canada for $9.99. If you try them out, let me know what you think!